Motivation – The Social B. You want to know what the worst feeling in the world is? Giving something your all, but still falling short. Back in March, I applied for an extremely competitive internship with the Television Academy Foundation in Los Angeles, California. The requirements were extensive: application, resume, statement letter, transcripts, and two letters of recommendation. I spent hours and hours perfecting my materials before I mailed them off, and prayed for the best. To my surprise, I made it as a finalist! I, Tirrea Billings, was a finalist for a PAID internship in LA! I was elated. The last step I had to complete was a video interview answering multiple questions about myself and why I wanted to intern with the TV Academy. Honestly, I felt like I completely nailed it. By this time, it was the end of May. I had been working on this for two months! I gave it everything that I had, and I was fully confident that I would be chosen. For the past month, it’s really been bothering me. Yeah, I was a finalist. But I didn’t win. I felt like I was worth more than 2nd place. And it’s not that I feel like I didn’t try hard enough because I know I did. It’s the fact that I did try my absolute hardest and I still wasn’t good enough. I fell short, and I really let myself down. Being the competitive person that I am, I’ve been asking myself what did I do wrong? What could I have done better? What do I need to improve on? Who got chosen and what did they do better? Yet, after beating myself up about it for a while, I grew tired and knew that it was time to change my perspective and look at the situation differently. For a long time, I didn’t know what I wanted to do with my life. I didn’t discover my love for filmmaking until my sophomore year of college, and didn’t produce my first documentary until late last year during my senior year. I literally just started taking film seriously only 1 year ago. And to make it as a finalist for a very competitive internship in LA after only doing this for a year says a lot. Then I reminisced on this past year, and really had to pat myself on the back. My first documentary I ever made received an honorable mention in the 2016 Broadcast Education Association’s (BEA) Media Festival of the Arts – a highly competitive, national competition for student filmmakers. I’ve interned at several different locations, continue to receive a tremendous amount of opportunities for paid, freelance work, and I’m all over Western Michigan University’s websites and news for my work. People are noticing me, and that’s an amazing feeling. So, instead of feeling sorry for myself, I had to realize that my work is definitely not going unnoticed, and I have accomplished more during this past year than what some people have accomplished who have been doing this much longer than I have. I had to realize that in this field, and in life in general, there are going to be times when you are told no, when you get denied, and when you give something your all but still fall short. And you know what, that’s okay. Though finally being able to catch a big break in LA would have been amazing and that $4,000 would have looked pretty nice in my bank account, I know that God has even bigger, better opportunities planned for me in my future. I just have to keep working hard and continue improving as a filmmaker. Most importantly, I can never give up. I also have to remember that this career is not easy at all, that there will probably be more times when I’m told no versus being told yes, and that I’m still young and new to this field! So I just need to relax. As long as I keep striving for greatness, I will make it to where I want to be: a director/producer for documentary films and advocating for more diversity and inclusion in the film/media/TV industry. Lastly, to anyone reading this and to everyone that I know, thank you so, so, so much for your undying love and support. I am a very confident woman, but affirmation always feel good! Thank you for seeing my potential even when I don’t see it in myself. Thank you for your continuous encouragement and motivation, and thank you for believing in me and my dreams. Celebrate your victories, and celebrate your losses. Actually, don’t even look at them as losses. Instead, look at them as opportunities to learn, grow, and become better. Don’t get discouraged because when one door closes, another door opens. You just have to keep striving for greatness, and want it for yourself. I want it, and I will get it. It may not be right at this moment, but I will make it to LA, I will prosper, and I will reach heights greater than I’ve ever imagined. When I tell people that I’m a film major, there are two different types of responses: one where they are supportive and think that’s really cool, and one where they kind of look at me thinking, really? You’re $20,000+ in debt to study film? Film is a hobby, not a career. Have fun being a starving artist! In today’s society, it seems like people think that you’re wasting your life and devalue your work if you’re not pursuing a career in business or something in the STEM field. Well, I’m here to tell you that without us, without artists, the world would be bland, colorless, and lack depth. From the books you read to the movies you watch, they all require at least one thing: someone with the mind and the original, imaginative, artistic ability to create them. Art matters. To all the photographers, filmmakers, writers, musicians, painters, sculptors, dancers, fashion designers, graphic designers, drawers, poets…Your work matters. Your craft matters. Don’t let anyone tell you what you can’t do and what you can’t be successful at. And don’t let anyone tell you to have a “plan B.” Will Smith says that there’s no reason to have a plan B because it distracts from plan A. He is absolutely right. It’s like you’re already expecting plan A to fail by having a plan B. So, stick to plan A. Stick to your art. I think the best thing about being an artist is that you get to create something from nothing. As artists, we get to be new, unusual and inventive every single day. We all have something unique and special that we want to share with the world. Your work is worth it. It’s not about the money. It’s about being able to integrate the mind, body, and spirit. It’s about cutting across racial, cultural, social, educational, and economic barriers. It’s about enhancing cultural appreciation and awareness. It’s about giving people the opportunities to express themselves. It’s about bringing the inner world into the outer world and developing new, concrete realities. I’m glad that I am finally able to ignore all the noise and be true to myself. I love film. I am a filmmaker, and I will spend the rest of my days doing what I love. My work is all that matters. It’s the summer and everyone is scrambling to find their cheats and hacks to getting that summer body quick! I’m going to share a few tips I’ve picked up on looking good and feeling great so far this summer! I’m sure you all have heard about the million different types of deatox teas out there. With so many different brands it’s hard to know which ones really work and are worth your time and money! BooTea is one of the pretty popular teatox brands. They offer a 14 Day TeaTox that includes a day time tea and a night time tea. They also offer a 28 Day TeaTox. The day time tea and night time tea can also be purchased separate. I’ve actually tried BooTea so I’ll give you guys my opinion on it. The daytime tea tasted okay. It is reminiscent of any herbal or green tea. Well, the nighttime tea was a bit different. It has a very strong smell with a taste to match. It wasn’t awful but it’s not something I would drink just for the heck of it. I used brown sugar to sweeten the tea because I did not have honey but I tried my best to only add a small amount of sugar. I would recommend using raw honey because it’s all natural. Did you notice an immediate difference in your body? Well, I knew the tea worked the first day after using the nighttime tea. The night tea acts as a laxative. Make sure you drink it at a reasonable hour! I would recommend around 6pm or 7pm because any later than that you’ll be on the toilet all morning. The greatest benefit of BooTea was the energy boost it gave me. I was in the gym almost everyday and the tea gave me that extra energy to do it!! I was not drinking the tea to lose weight so I did not track my weight. I just wanted to cleanse my body. I paid around $30 for the 14 Day BooTea Teatox. Yes, I believe it was worth it because while doing this teatox I felt GREAT! I’ll definitely be buying more very soon. Sounds weird right? Well, after you watch this TED Talk by Graham Hill, the founder of the sustainability website TreeHugger, it should make a little more sense. Hill’s approach was more environmental but cutting out meat is a great opportunity to cut calories and increase your weight loss. Added with the proper workout regiment you may meat your goal a bit quicker than you expected. It will not be easy. I’m currently working on cutting meat out of my diet. Last week I only ate meat four days out of the week and this week I plan on cutting it back to three days a week. Give it a try! 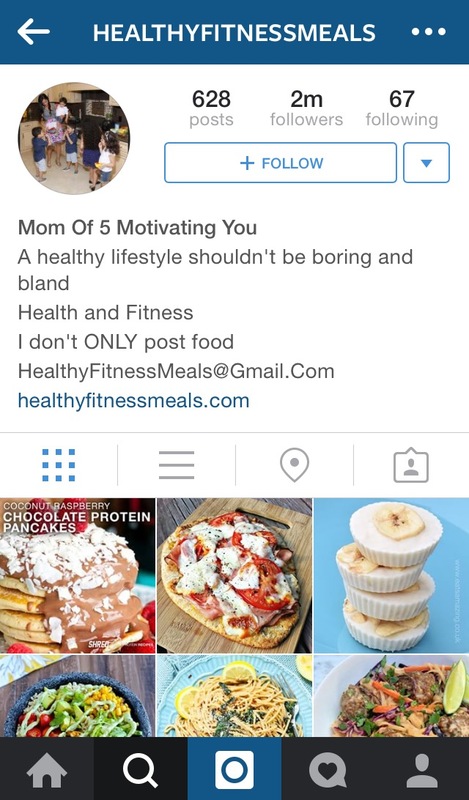 It may sound a bit silly but I follow accounts on Instagram that motivate me to hit the gym and eat better! The lovely Angela hits the gym on the regular. 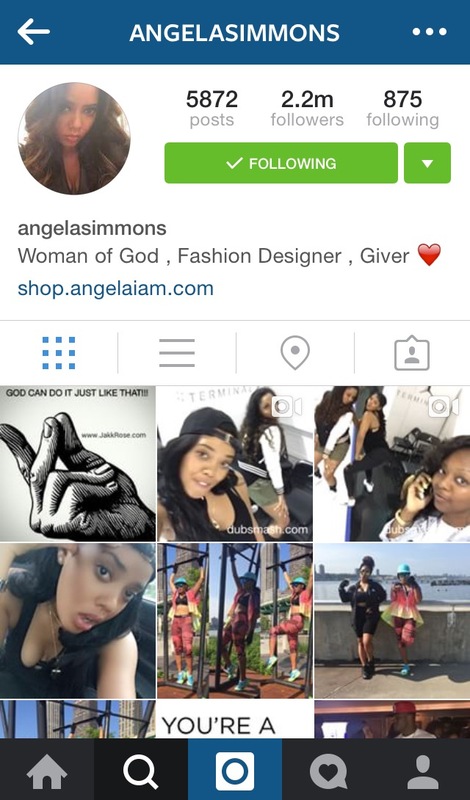 I love following her! She works very hard and her results show! 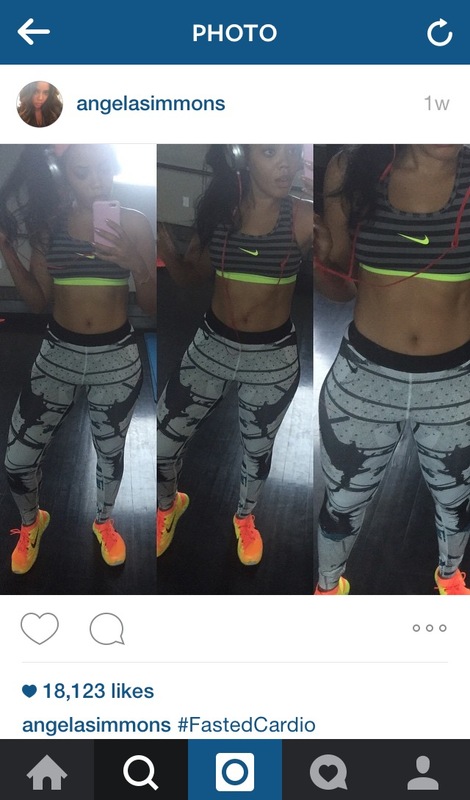 Leader of the #FitThickArmy Ms. Brittany Renner takes working out very seriously! Just look at her body! My body might never be as banging as Brittany’s, but a girl can dream right? Need some ideas for a post workout meal? Check out this page! It’s full of delicious and healthy recipes. Okay guys I’ve shared a few of my fit tips to get summer time fine. Try them out and let me know how they work for you! Also if you have any leave comments so I can try them! 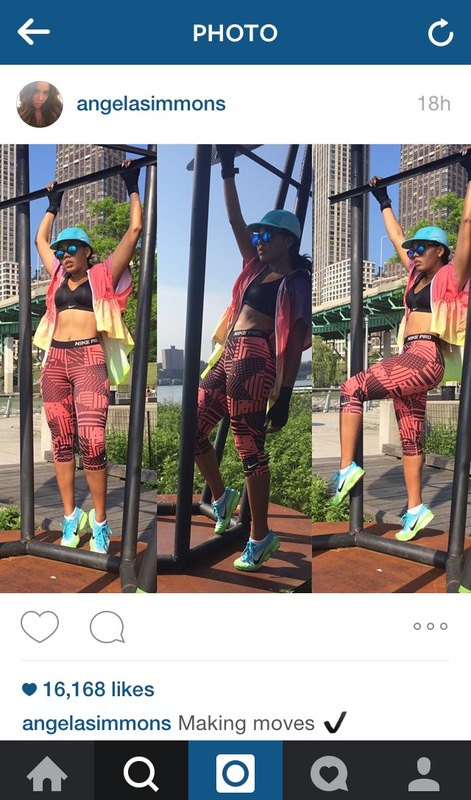 Posted on June 9, 2015 June 9, 2015 Author Asmaa WaltonCategories BeautyTags Exercise, Fit, healthy, Motivation, Summer 2015, TeaTox, VegetarianLeave a comment on #FitandFine for Summer 2015!